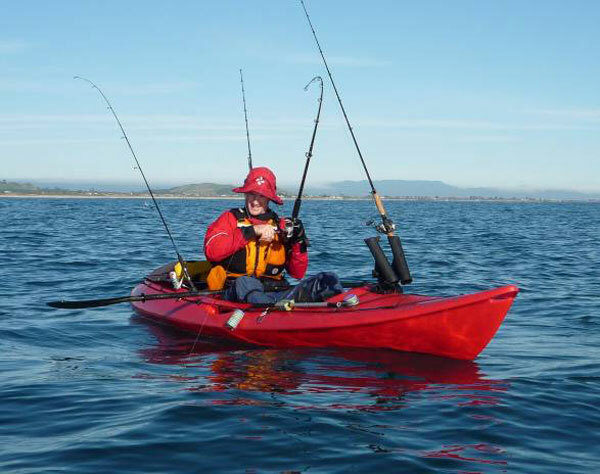 Thinking of Buying Fishing Tackle? Ph (Ak 09) 634-5005 for the hottest deal around. We're open 9:00am to 5:00pm Mon - Frid and, this weekend only, Saturday & Sunday 30 & 31st, 9:00am to 3:30pm! RED HOT deals in store now! Be ready for the next snapper season at genuine LOW PRICES! Contact Rob Ph (Ak 09) 634-5005 for the hottest deal around. Buying Kitefishing or Longline Gear? Got a kite rig or longline that needs repairs? Why wait???? Get it repaired now by the experts for a much reduced price! Contact Us Ph (Ak 09) 634-5005 for the hottest repair deal around. Went out to Muriwai with our kite fishing kit a few weeks ago. The wind was 20-30 knots and the swell was moderate. The fishing was good! 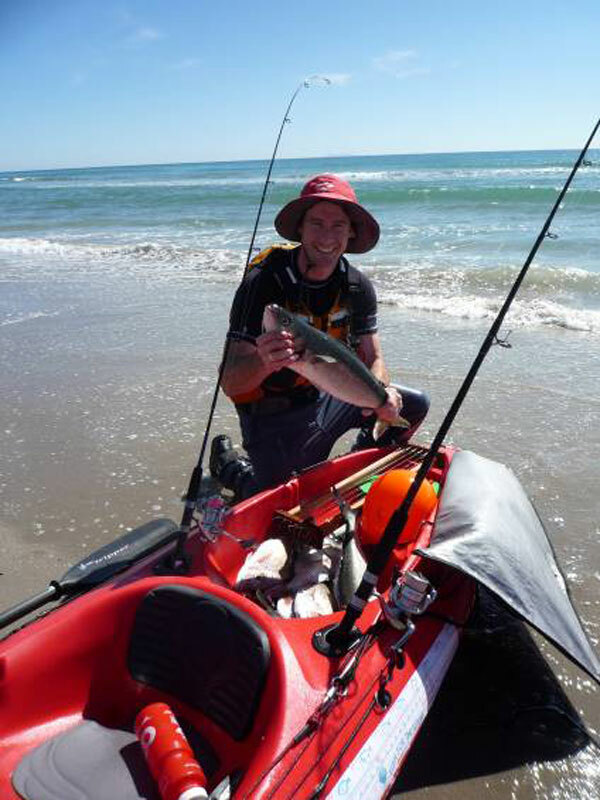 We shot up the beach first thing in the morning and fished over the high tide. 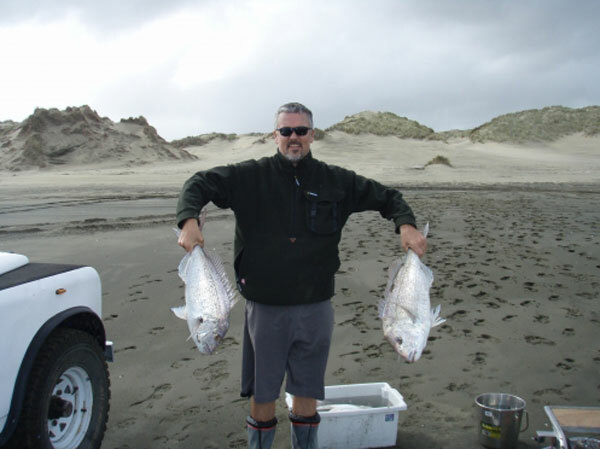 We couldn’t cook any food as the sand was blowing down the beach – and we were too busy catching fish. 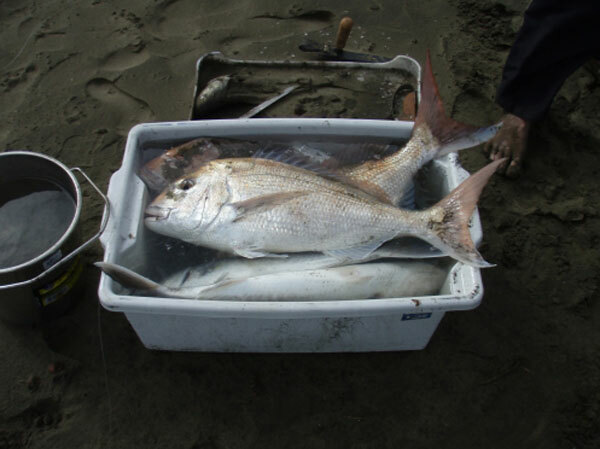 About 15 Gurnard, a dozen Snapper including three real big uns, and some Kahawai. The chilly bin was full and we headed home in the early afternoon. Perfect. 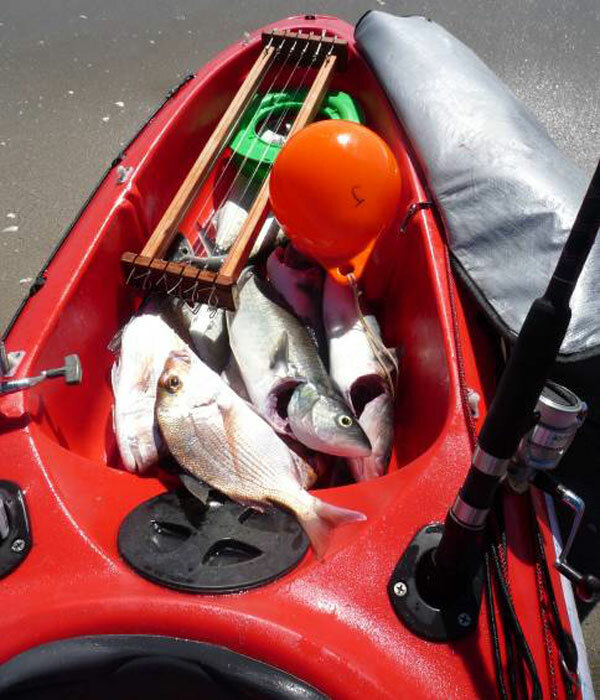 Finally get back to you with some feedback on the kayakers long line kit Paul's Fishing Kites provided me with. In short I have had many trips on the water since receiving this from you and all have been very successful thanks to the long line, the rod a reel has not been quite so rewarding. 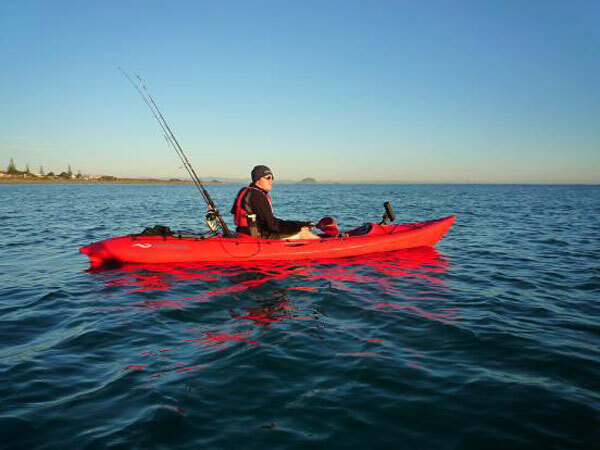 You can safely say I am now completely converted, and will seldom hit the water without the long line in the kayak. I am actively promoting this set up to all I come into contact with. Many of the guys who join me for a fish are still amazed that while they catch nothing on there rods, I will have fish on the long line, even though we are fishing in the same place, with the same baits. I have been through some trial and error with my placement of the long line, I have lost a few hooks to snags and what I can only assume were sharks, my 12 hook set is down to eight but still producing on average three take home snapper. Your advice that the flat sandy bottom was best has proven well advised and after diverting from this advice on two occasions only to find I got completely snagged and put in a serious risk of capsize when tying to pull in - I will not do the sets over foul ground again. I have found most baits to be successful - the fresher being the better. 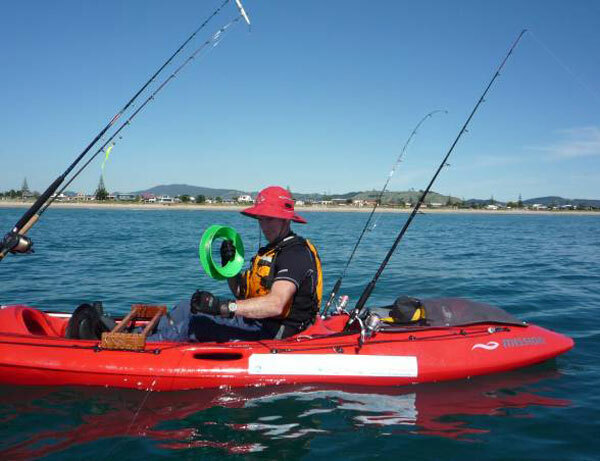 Stingray makes good bait as I was soon to discover after hooking my first one on the Mahurangi. What a mess they make of the line and they are bloody hard to get off the hook when trying to keep the trace. Consequently the ray had to be cut up for bait and caught me several good snapper. 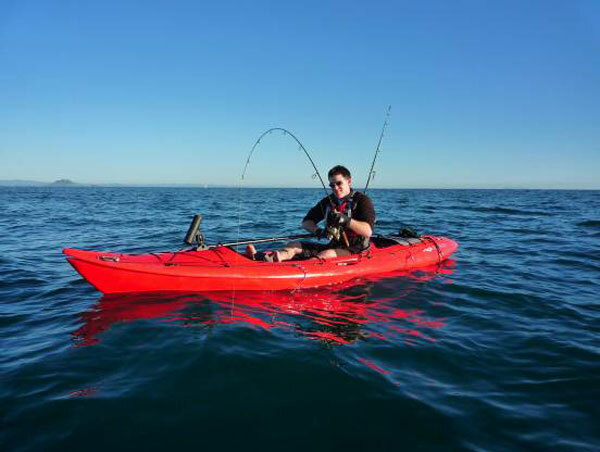 Below are some pics from my recent session with a client out off Papamoa Beach, it was his first time kayak fishing. We set both long lines, one in close to shore in around six meters of water, the other further out and in twenty meters. The line at twenty meters got hit by kawahai after I had only set the first five hooks! Never the less I carried on and set it knowing I would likely have a mess to deal with. I then spent the next hour trying the single hook samples you guys gave me and every time I dropped it I had a hook up which were all lip hooked. Sound advice from you guys again and I did as was suggested and just left the rod in the holder behind me and waited for a fish to hook itself which they duly did, no more effort required, fantastic! We had a hard time getting through the kawahai as I was stray lining the rig - but with the addition of some weight I managed the same success on snapper - and even a small blue cod. So that answered my question of "can I replicate the long line set up on my rod with only 1 or 2 hooks." 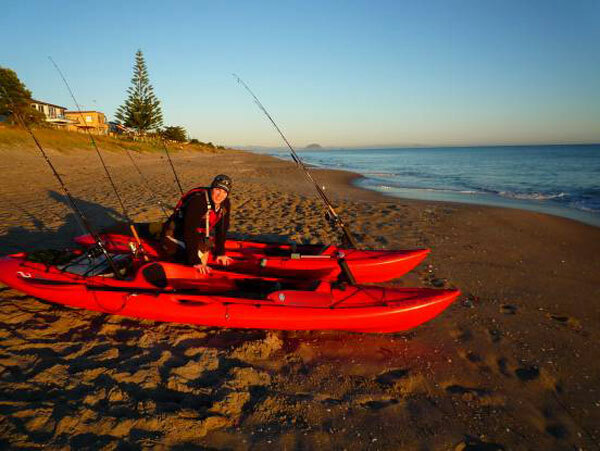 I will definitely be putting this to good use next weekend in Taranaki on some big snapper. 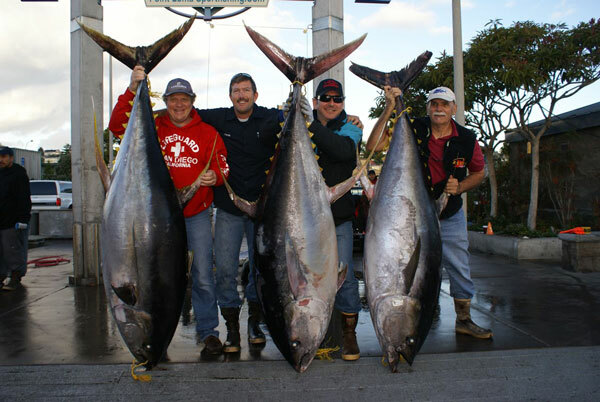 Found out that there are some rules, not IGFA, but no more than two hooks per rig are allowed so the gang hooks will have to wait. 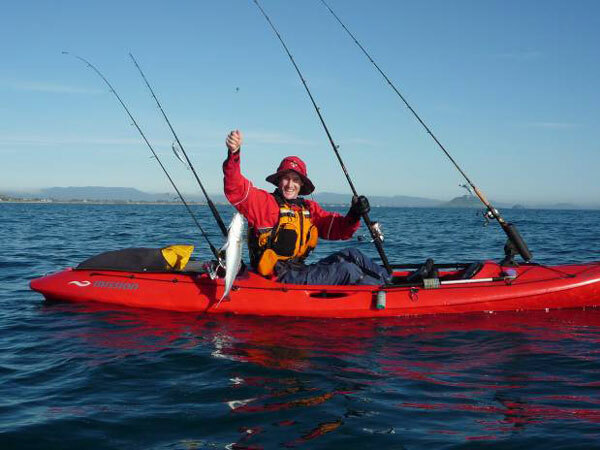 I will be reporting on this session which will be printed in the kayak magazine as part of an area report for BOP. A special thanks to all those who took time to send in reports.